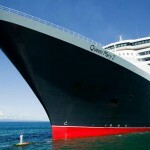 Cunard Line have release some dramatic photos of the Queen Mary 2 captain standing on the bulbous bow, These photos are impressive and slightly scary due to the size of the 151,200 ton ship. 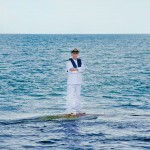 The photos were taken on Sunday March 2nd while the ship was a mile from the Bali coast line. 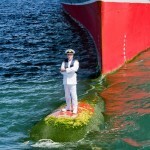 Captain Kevin Oprey looks to take it all in his stride and it sure will be a photo shoot he will remember for life. The images were taken by James Morgan. 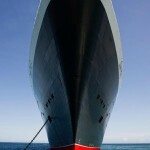 Cunard Lines flagship is currently celebrating its 10th Anniversary. When the ship first launched it was the largest in the world but has now been passed by Royal Caribbeans Oasis class vessels. 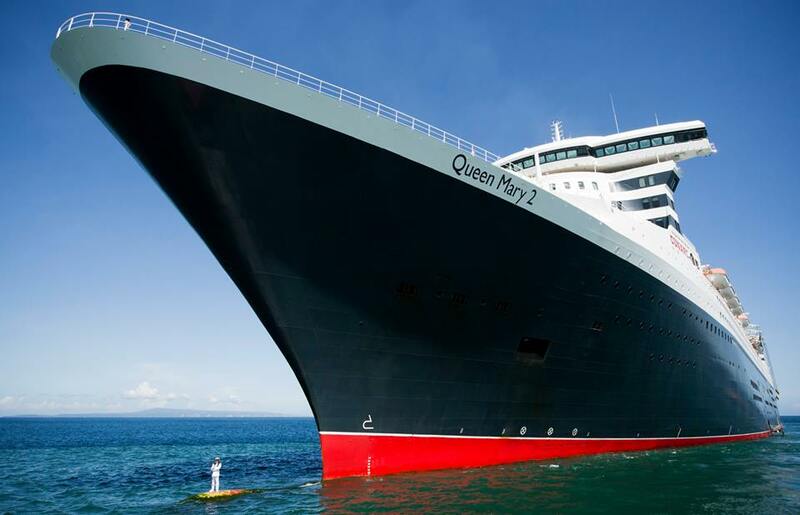 Queen Mart 2 is on a world cruise at the moment and will make her 10th visit at Sydney, Australia and will be making calls at ports all over the world. On May 9th the ship will meet up with sister ships Queen Victoria and Queen Elizabeth for a 10th Anniversary celebration in Southampton. All the featured photos by James Morgan Photographic Consultancy & James Morgan also you can checkout his Facebook page.